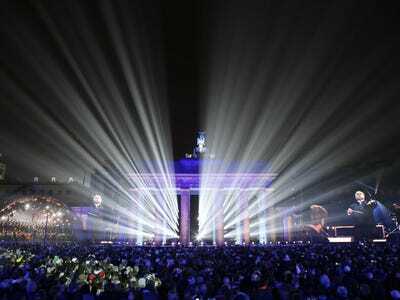 REUTERS/Fabrizio BenschConductor Daniel Barenboim is seen on video screens as he conducts the State Orchestra performing in front of the Brandenburg Gate in Berlin, November 9, 2014. 1. More than 80% of Catalans voted in favour of independence in a symbolic referendum held Sunday, although Spain says it will not recognise the vote. 2. The Netherlands will hold a national memorial service on Monday to commemorate the victims of Malaysia Airlines Flight 17, less than four months after the plane was downed in eastern Ukraine. 3. 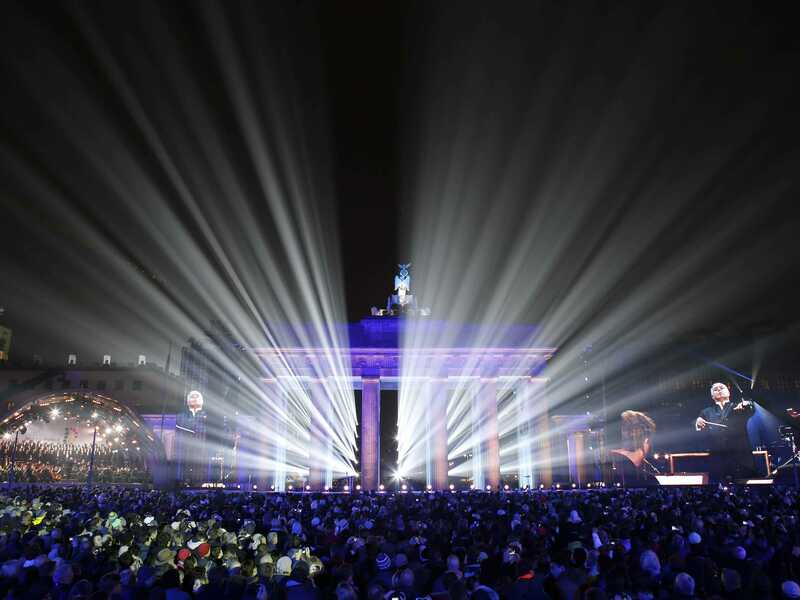 Sunday marked 25 years since the fall of the Berlin Wall. 4. World leaders are gathered in Beijing for this year’s two-day Asia-Pacific Economic Cooperation (APEC) summit. 5. Japanese Prime Minister Shinzo Abe and Chinese President Xi Jinping met for formal talks for the first time at the Asia-Pacific conference, following two years of tensions over disputed islands in the East China Sea. 6. Rurik Jutting, the British banker accused of killing two women in Hong Kong, had his case adjourned for two weeks while he undergoes psychiatric tests. 7. Tensions in rebel-held regions of eastern Ukraine reached their highest point this weekend since the early September truce, amid Kiev claims that Moscow has stepped up supplies of weaponry and fighters to pro-Russian separatists. Russia and China have signed a gas deal that will increase the supply of gas from western Siberia to China. 9. Remembrance Day services were held across the United Kingdom on Sunday, with this year marking the 100th anniversary since the start of World War I. 10. Three expedition members of the International Space Station returned to Earth on Sunday after spending almost six months in space. More than a dozen artifacts from the Sacred Convent of St. Francis are leaving Italy for the first time in 700 years, bound for an exhibition in New York.